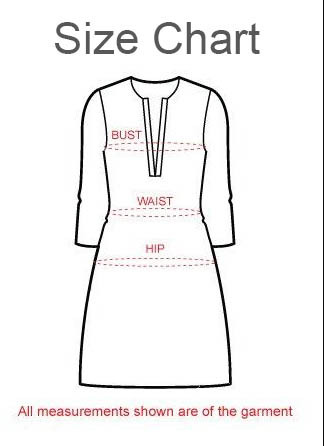 A well set example of grace and style this Contemporary Beauty Off White Cotton Long Tunic for Women from the house of Snehal Creation is a must have in every modern closet. 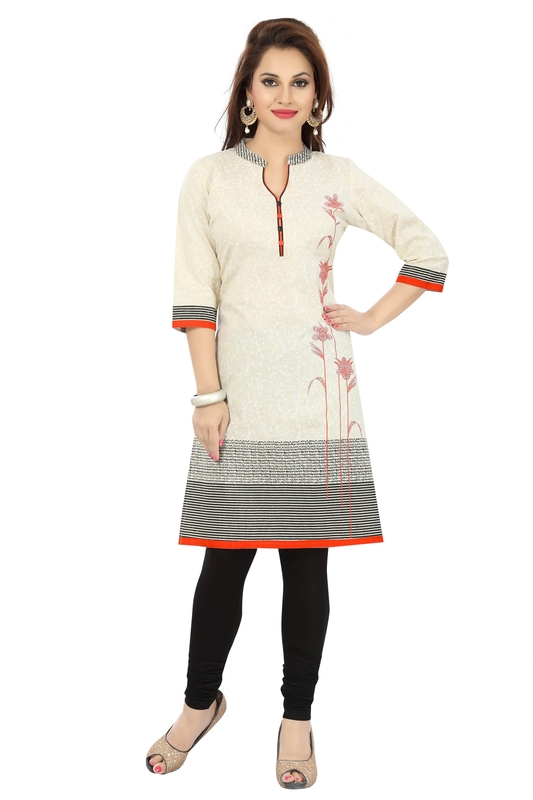 This chinese collared tunic is a heart stealer for the beautiful self design of its base fabric. The base has black lines running horizontally through it, same as the sleeves of the tunic. Unique floral print adorns the tunic on one side in red color. Multi colored piping lining its neckline looks ravishing to say the least.